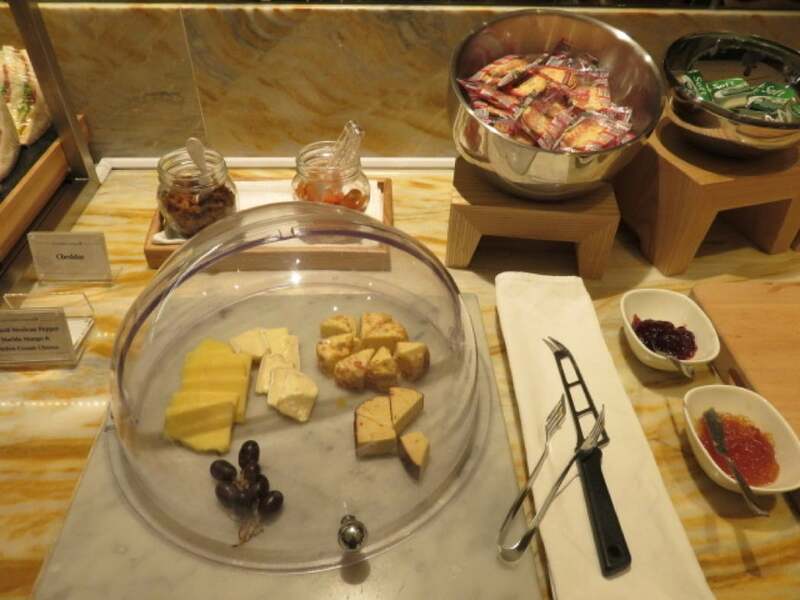 I experienced the Silverkris Lounge at Changi airport before boarding my flight on Singapore Airlines (SQ) A330 in Business Class from Singapore Changi International Airport to Ho Chi Minh City, which I flew in April 2017. 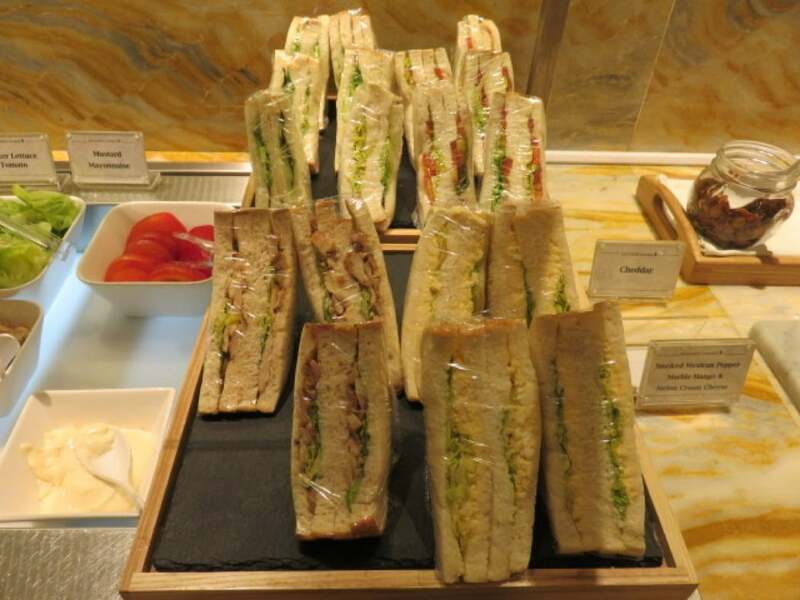 Singapore Airlines offers 4 different tiers of lounges for its premium passengers at its hub, Changi International Airport. 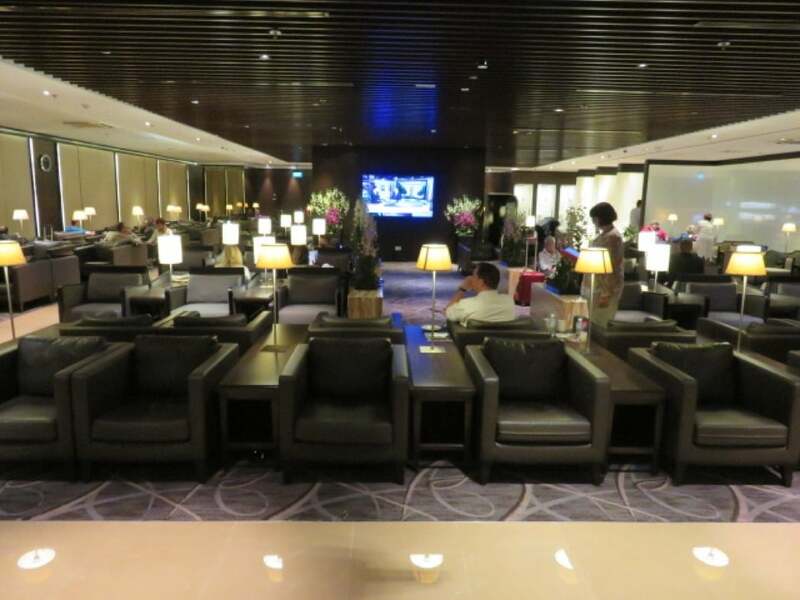 This review only covers Singapore Airlines KrisFlyer Business Lounge at Terminal 2 which has been recently been refurbished. 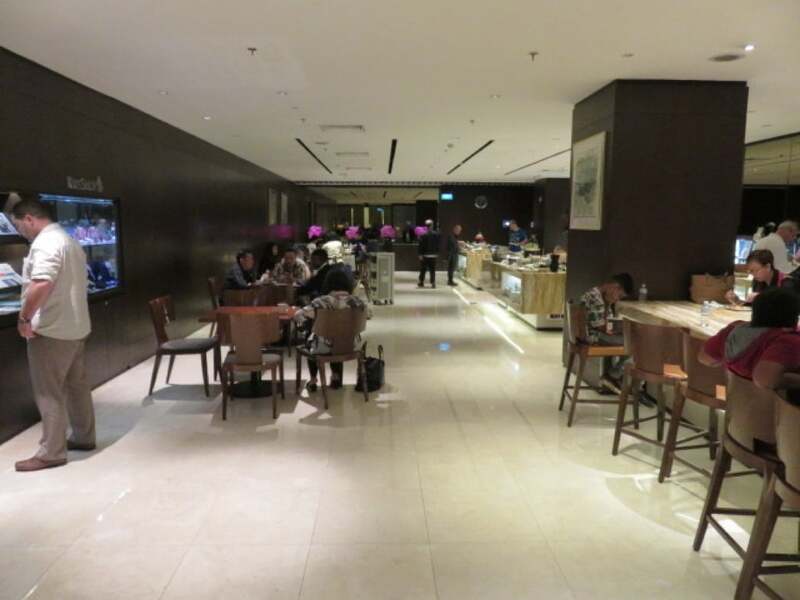 This lounge used to be the Singapore Airlines flagship lounge before the airline moved most of its operation to terminal 3 in 2011, where it now runs a much larger lounge. 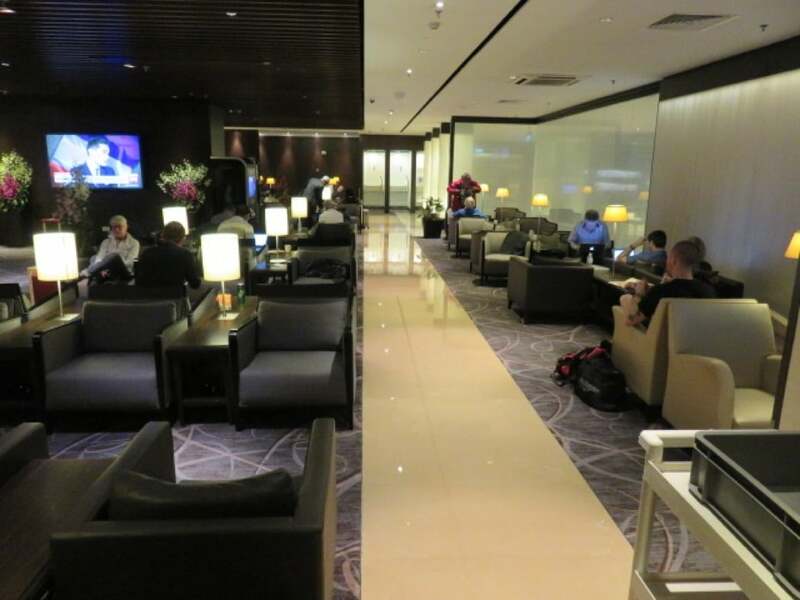 Both lounges feature similar decor, with soft lighting and marble floors. The lounge facility at terminal 2 is located one floor above Changi’s famous ‘Enchanted Garden’, which comprises four giant glass bouquet sculptures decorated with a mosaic of stained-glass. 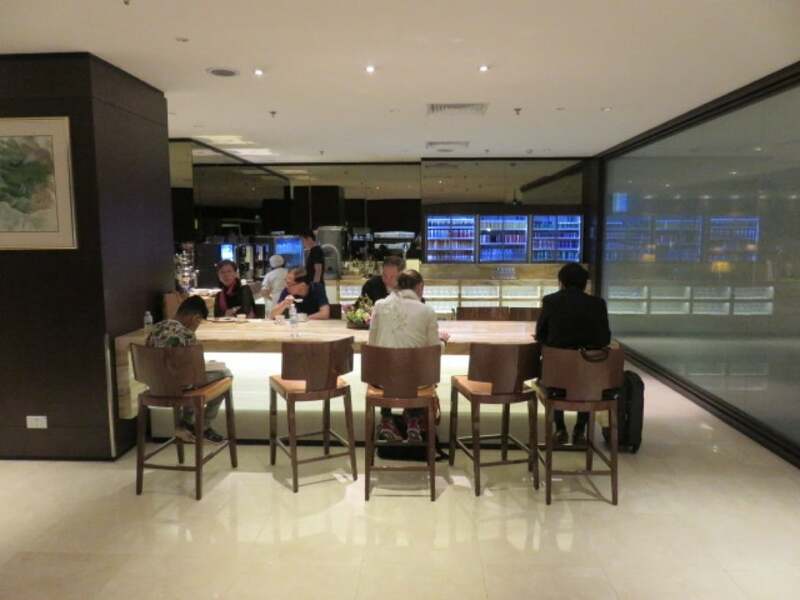 Access to the lounge is limited to Singapore Airlines Business Class passengers and passengers who hold elite status with a Star Alliance partner airline (e.g. Lufthansa, Swiss, Turkish Airlines, etc …). As you enter the lounge, there’s an open-plan business centre on the left, with both pc and mac computers available to guests that need to catch up on work. 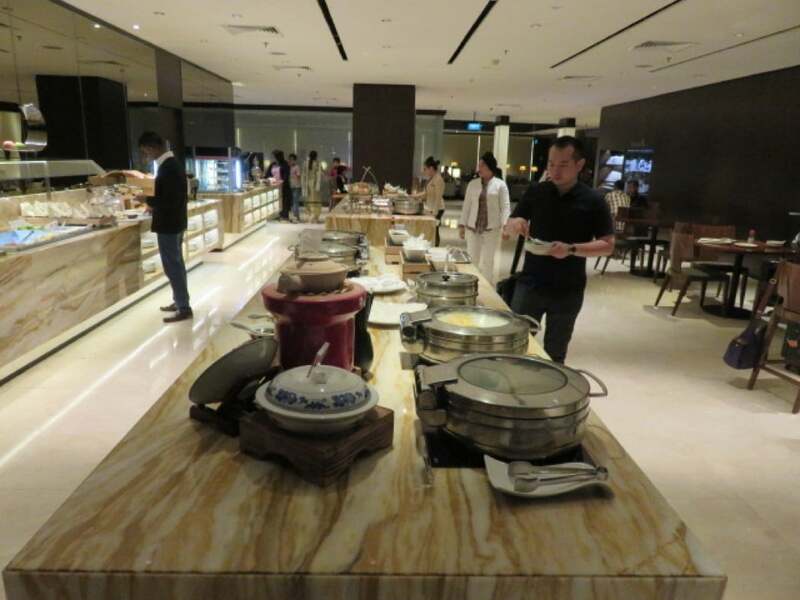 Next, you arrive in the spacious restaurant area, which features a couple of dining tables placed alongside an excellent, self-service buffet. There is a large and extensive selection of cold options (e.g. 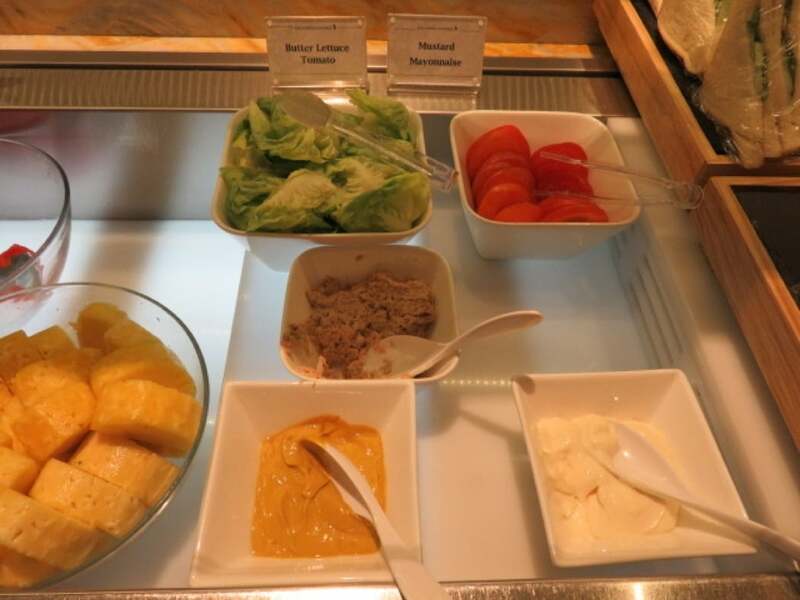 muesli, fruit, salads, cheese, Danish pastries, cereals, and sushi) and hot dishes (e.g. 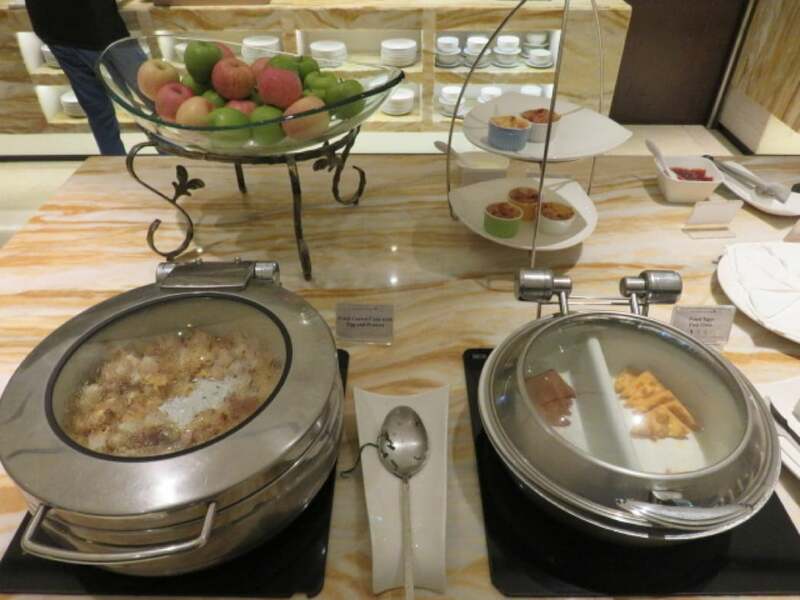 pasta, soup, noodles, curries, dim sums, pancakes, eggs, etc). There’s also Charles Heidsieck Brut Reserve Champagne. 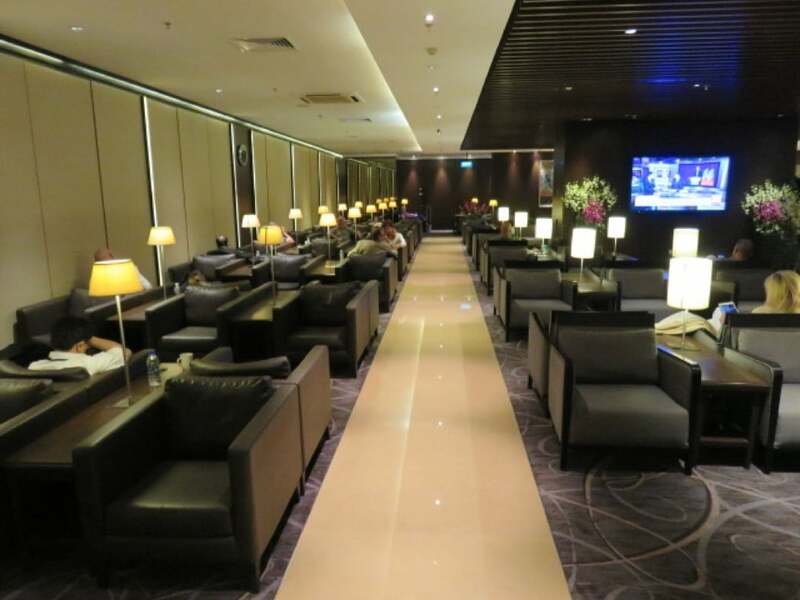 The sitting area at the lounge is confined to one large, dimly lit room, located adjacent to the restaurant area, which offers a dark, opulent escape from the bright lights of Changi Airport. There are plenty of armchairs, most of them equipped with universal power ports. 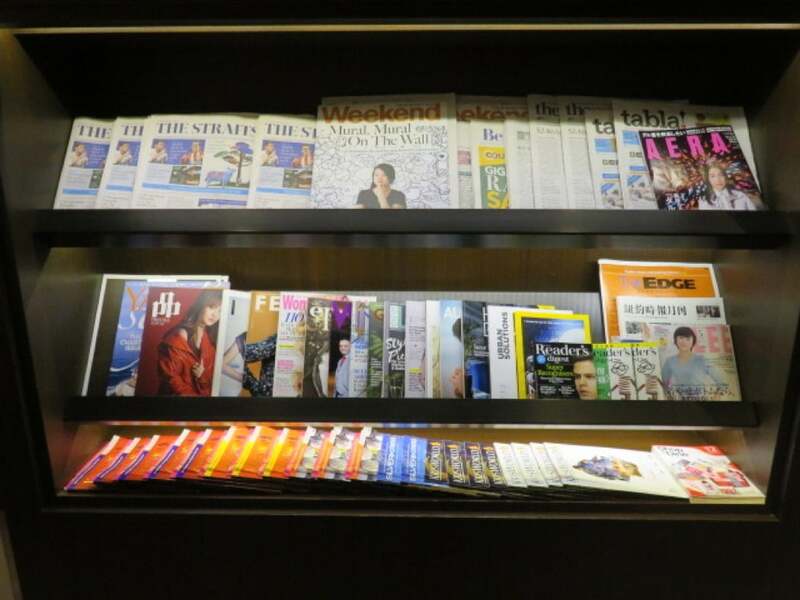 There are complimentary local and international newspapers and magazines. 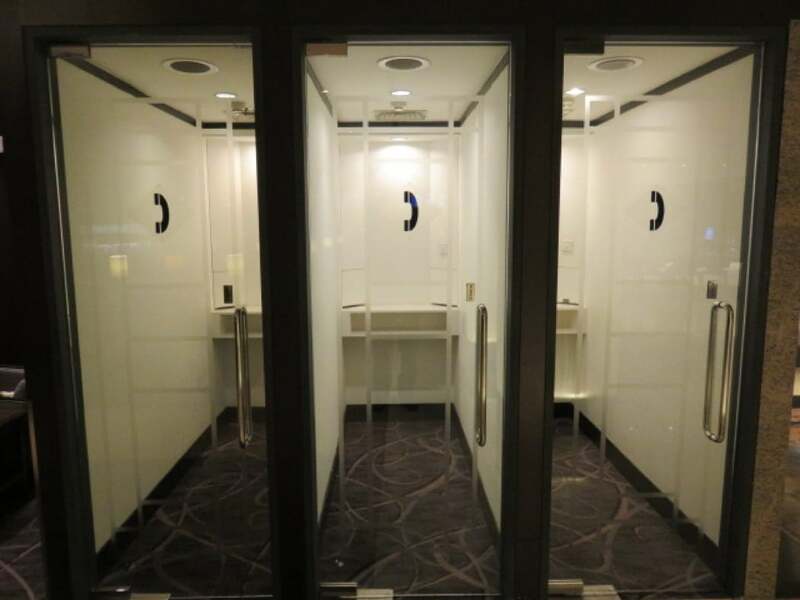 Facilities at the lounge are great, with bartender service, free WiFi (at excellent speed), and showers inside the restrooms for those that need to refresh between flights. I have previously reviewed the Singapore Airlines First Class Suite on their A380 and Business Class on Singapore Airlines A350 in 2016. This review was written by our friends at TheLuxuryTravelExpert.